Both the Houses were adjourned on Thursday, for recess of 27 days, to reassemble on March 9, to enable department-related standing committees to examine the demands for grants relating to various ministries/departments. 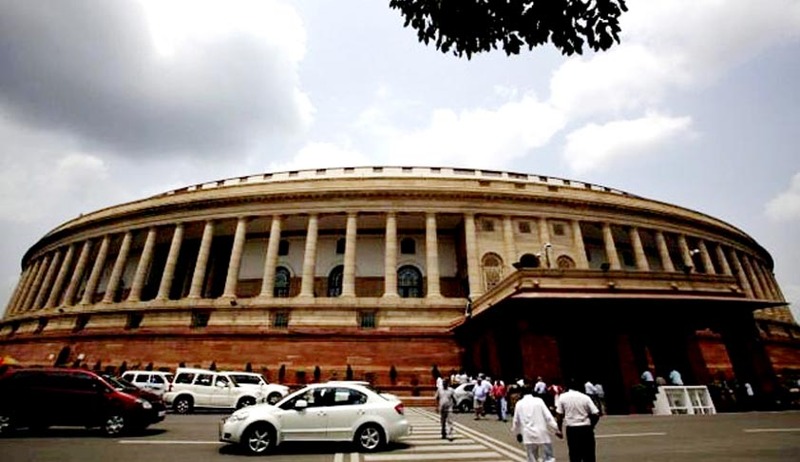 As the first part of the Budget Session comes to rest, Union Minister for Parliamentary Affairs Ananthkumar said in terms of utilisation of time, the productivity of the Lok Sabha, with seven sittings, and the Rajya Sabha, with eight sittings, stood at 112.65% and 96.74%, respectively. The Union Budget for 2017-18 was presented on February 1, followed by general discussion on the Union Budget in both the Houses. As for the legislative business transacted during the first part of the budget session, two Bills - Specified Bank Notes (Cessation of Liabilities) Bill, 2017 and Payment of Wages (Amendment) Bill, 2017, were passed by both the Houses. Five Bills were introduced in the Lok Sabha namely Finance Bill, 2017; Payment of Wages (Amendment) Bill, 2017; Specified Bank Notes (Cessation of Liabilities) Bill, 2017; Indian Institutes of Management Bill, 2017; and Repealing and Amending Bill, 2017. Two Bills were passed by the Lok Sabha and one Bill by the Rajya Sabha. The Budget Session commenced on January 31 and, subject to exigencies of government business, will be adjourned sine die on April 12. Both the Houses were adjourned on Thursday, for recess of 27 days, to reassemble on March 9 to enable department-related standing committees to examine the demands for grants relating to various ministries/departments. The minister appreciated the cooperation received from all the members of both Houses in running the business smoothly and hoped that the second part of the Session would also receive such cooperation from all the Members of Parliament. The President addressed both Houses assembled together in terms of Article 87(1) of the Constitution on January 31, and informed the Parliament of the causes of its summons. The Motion of Thanks on the President Address in the Lok Sabha was moved by Mahesh Sharma and seconded by Virendra Singh. In the Rajya Sabha, it was moved by Ravi Shankar Prasad and seconded by Vinay P Sahasrabuddhe. It was discussed and adopted by the two Houses during first part of the Session.